A bishop from China's underground Catholic church will step down at the request of the Vatican to make way for a candidate recognised by Beijing, state-run media reported, amid a thaw in relations. An agreement struck in September on the appointment of bishops paved the way for a rapprochement between the Holy See and Beijing, establishing diplomatic ties for the first time since 1951. Guo Xijin, bishop of the underground church in eastern Fujian province was appointed by the Pope, but his title was never recognised by Chinese authorities, who have detained and questioned him several times in the past. His decision to step aside follows a rare visit this week by an official Vatican delegation to the Chinese capital, the state-run daily Global Times said on its website on Friday. The religious leader was at the centre of this week's negotiations between China and the Vatican, who have been asking him to leave his post since 2017 to allow for talks aimed at normalising relations with Beijing. "I will become the auxiliary bishop, and bishop Zhan Silu will be the diocesan bishop in Mindong," Guo told the Global Times, adding that the underground and official churches of the diocese will merge. In September, Pope Francis agreed to recognise the appointment of seven bishops appointed by the communist authorities without his consent. 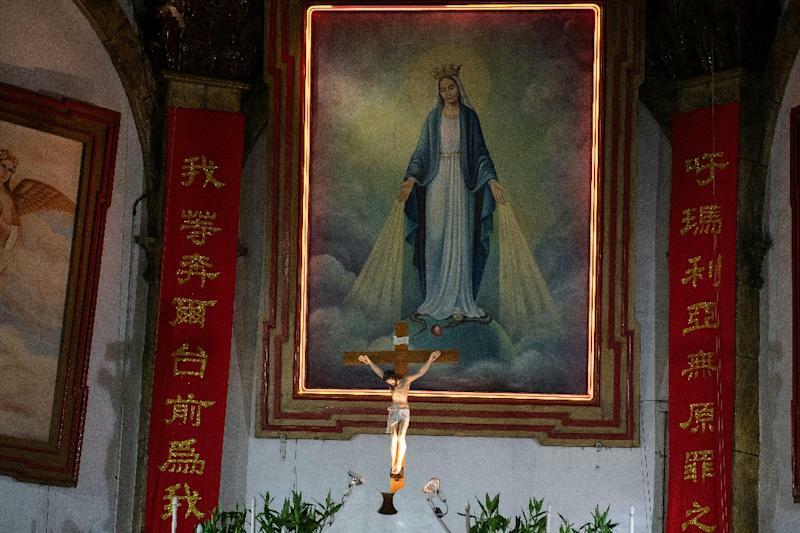 The Vatican's accord with Beijing was signed after a clampdown on religious worship in China. Earlier this week, dozens of members of a prominent unofficial Protestant church and their pastor went missing in southwest China after authorities raided their homes, churchgoers said. The police sweep occurred Sunday night, according to a statement from the Early Rain Covenant Church, which is based in Chengdu, the capital of Sichuan province.